Why should responsive web design be considered as an important technology you should own for your website? 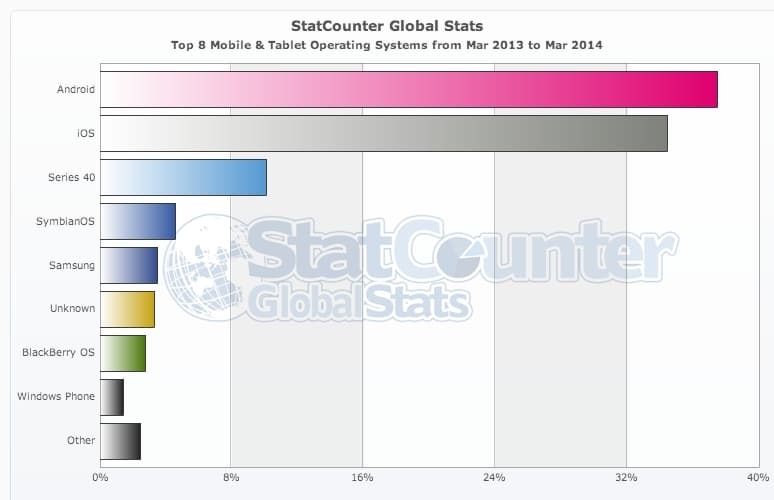 The following graphics indicate the global statistics of mobile and operating systems from 2012 to 2014. There are 8 key operating systems and iOS is the leader in the market in 2012 but it’s quickly replaced by Android in 2013. 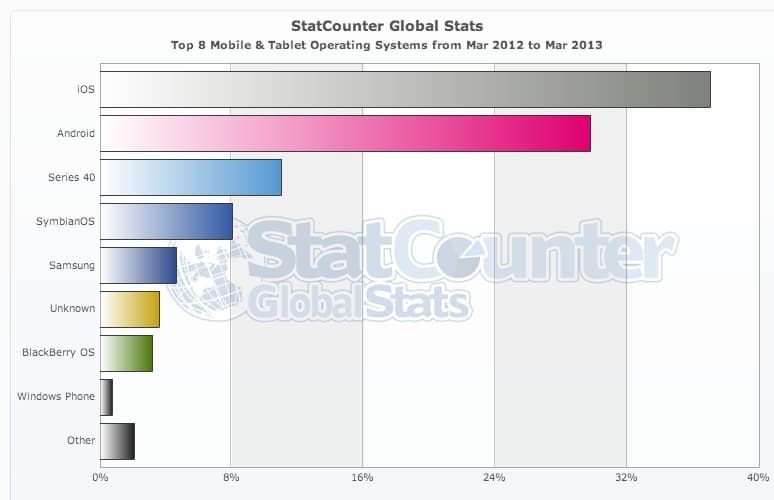 The statistics also show that the market share of other operating systems varies at the same time. Statistics has been changing, you may check out the latest movement of these statistics online. But you can deny that the mobile trend has been existing for quite a while out there. Nowadays, it’s very vital for a company to show their products/services on smartphones. What problems would an enterprise face under this fast-moving tech world? And what can an enterprise do to solve these problems? 2. The content style inconsistency and bad quality of images. This will affect the professionalism of a company on the image and credibility. 3. Design for desktop only. 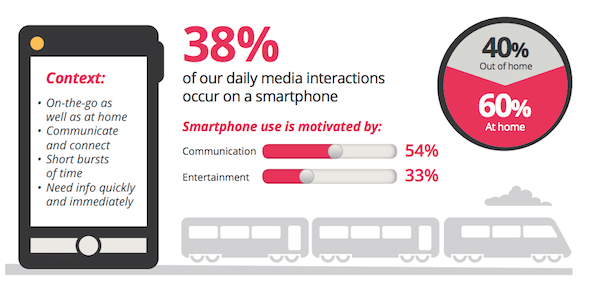 It will be very difficult to read on mobile devices or social media and decrease impact on marketing effectiveness. Responsive web design (RWD) is an approach whereby a designer creates a web page that “responds to” or resizes itself depending on the type of device (including desktop, tablet and mobiles ) it is being seen through. You don’t get it? The following examples would give you more clues about what responsive websites are, you can see how the same link works on different sizes of screens now. 1. 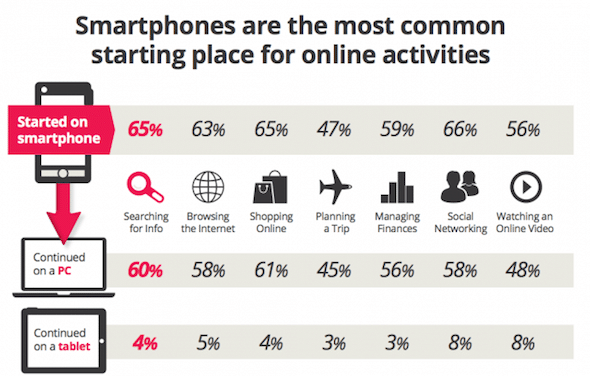 On average, 60% of users will start their online activities through smartphones and 50% will further use the desktop to continue those activities. 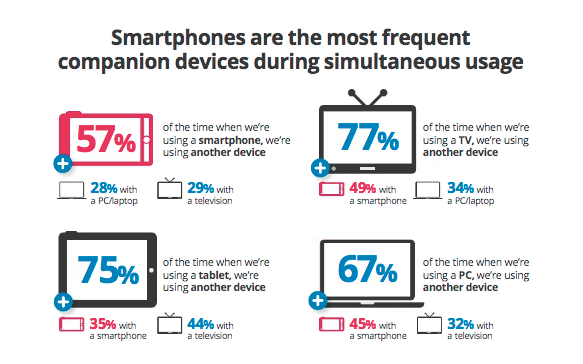 Google’s research also indicates that people tend to complete a task through multi-devices nowadays. 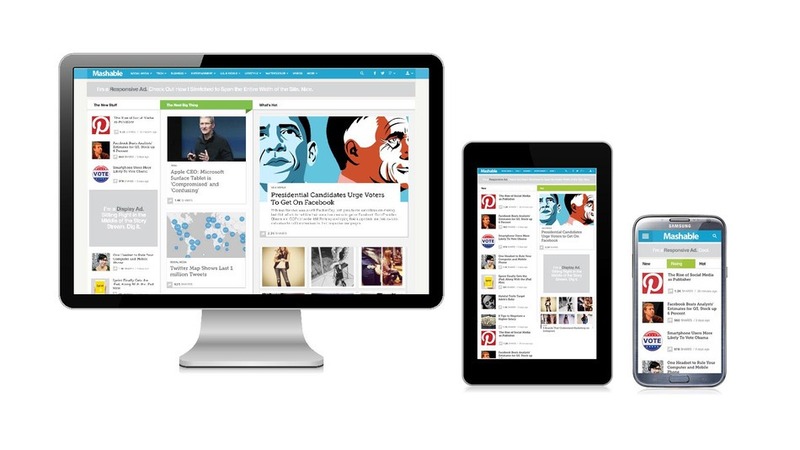 Therefore, responsive web design (RWD) could perfectly deliver a solution for all different devices. 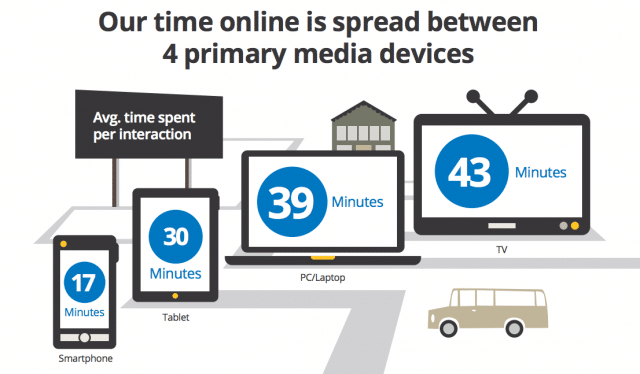 Morgan Stanley has conducted a research and prediction for mobile and desktop internet users. It showed that mobile internet user was 30% of desktop internet users in 2007. 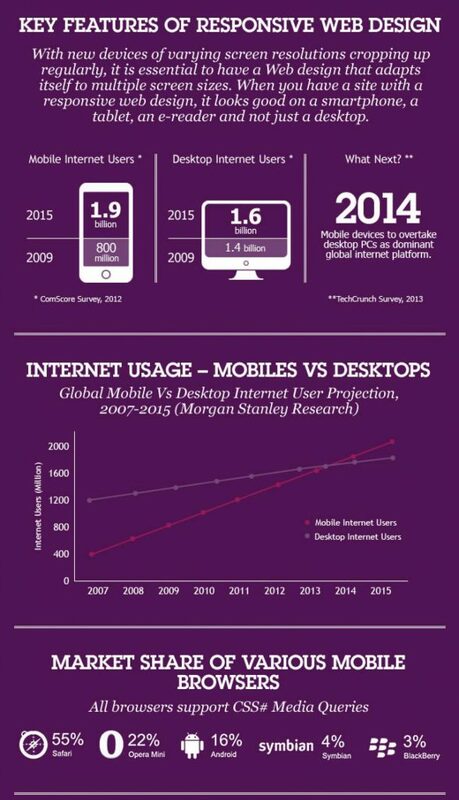 However, they predicted the mobile internet user has excessed desktop internet user in 2014 and this trend will continue. It’s predicted there will be 1.9 billion mobile internet users and 1.6 billion users in 2015. Morgan also indicated that the market share of different mobile browsers and all these browsers supported the responsive web design (RWD) technology. It proves the further development of responsive website design has already been well recognized. Doesn’t mobile site solve the problem? Many institutions misunderstood that the mobile site should have already solved the above concerns. But don’t forget that there is various type of mobiles, tablets, and desktops in different screen sizes. Moreover, the concept of a mobile site is to rebuild a brand new website and the URL will be different from the original one. This will disperse the total traffic of the website and influence the accuracy of traffic statistics of page views and visitors. Google, world’s biggest search engine with 65% market share, also strongly recommends the implementation of responsive web design (RWD) because the data collection of a website traffic will be much more accurate. And it also counts as a factor for better Search Engine Optimization(SEO) performance. Furthermore, responsive web design (RWD) just needs one content management system (CMS) and the site will work on different devices. This is much cost effective than a mobile site. Stanford University carried out a research which indicated that 75% of users believes that a website is representing a company’s credibility. 94% of a website user’s first impression are design-related. 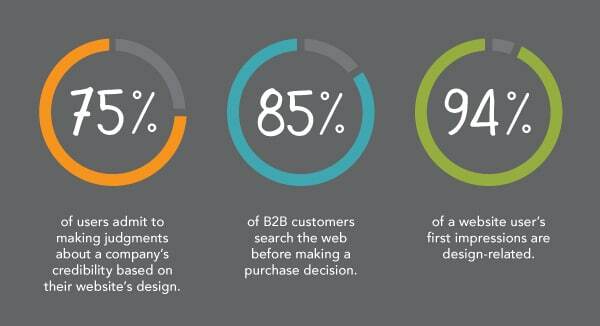 And 85% of B2B customer will search the website before making a purchase decision. We should now realize that the credibility of a company and the website is highly related. build up credibility: the improvement of information architecture and interface design can make website visitor find the information they need faster. It also enhances the credibility of product/service of a company. better marketing effectiveness: social media sharing is everywhere now. Responsive web design allows this happen without sacrifice of quality. It perfectly fits for promoting products/services, delivering company news/offers and etc through different media. build a better enterprise image: building an all-rounded website can enhance the image of a company. International conglomerates including Microsoft, Disney, Sony, Times and Starbucks, all these has applied responsive web design (RWD) technology. enhance the possibility of more page views and sales: responsive web design (RWD) can deliver any information through images, text and even videos seamlessly on any kind of screens. It can also hugely improve the sales and page views for a company which is supported by Google research. American Cancer Society increased page view and donation by 250% and 3 times. Telecom Plusnet increased page views and sales volumes by few times. American debt management company Baines Ernst’s also increased page view and sales volume by 11% and 51%. All these are proving results from the implementation of responsive web design (RWD) through their outcomes are not exactly the same.